The Surf’s up, Jet-Skis & boats are out on the water and the weather is fantastic. Just another day for locals lapping up the serene atmosphere of The Shire. Life couldn’t get any better knowing that “Cronulla”, one of the greatest beaches in Sydney. Is only a short drive from your front door step. And what a great time of the year to be gearing up for a great summer on The Shire’s pristine waterways too. There is no wonder why the locals in The Shire love this land and call it “God’s Country”. 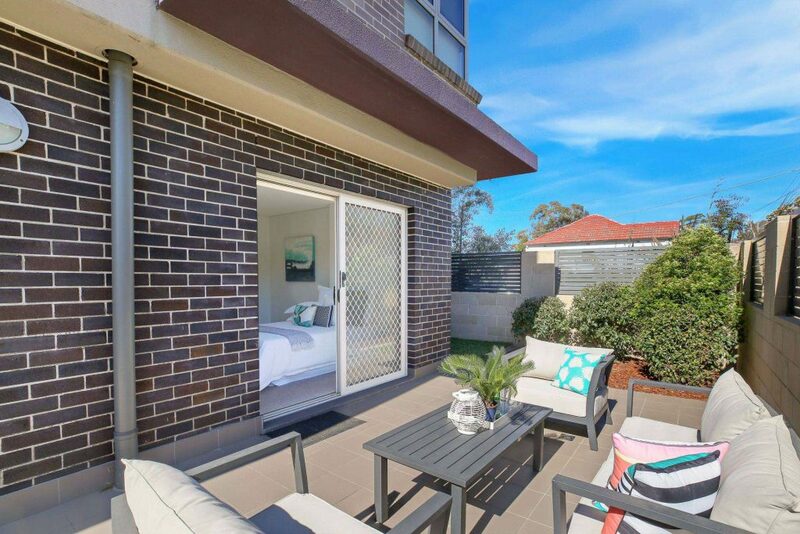 And not many times do opportunities come by like this Modern and Spacious Sutherland Shire Villa. Well positioned on Vermont Street in Sutherland, this Villa Style Apartment is a great purchase for both professional couples and investors alike. Boasting a terrace to the north and a courtyard to the south that has a path on each east side, this property is pleasing to walk around. And being a Pet Friendly Building there is enough area for your Cat or Dog to have their own space too. With plenty of natural light and good ventilation, you can save on power bills and avoid mouldy issues. Keeping the home fresh and easy to maintain during all seasons. Getting up in the mornings could never be more refreshing walking directly out on the courtyard and breathing in that fresh Sutherland air. Both Bedrooms are complemented with direct access to the courtyard and boast plenty of moving area for the active professional. The large master bedroom has its own ensuite which is timeless in style. And throughout the home you will find a well appointed main bathroom and separate internal laundry, with a cleverly placed study nook that comes off the open plan area. Walking out into the open plan living & dining area with the soft breeze blowing from the north facing open terrace. You can enjoy an evening BBQ with the relatives and some mates, or kick back and watch the cricket. Whatever your cup of tea, this property is fantastic for entertainment and relaxation. And when that weather gets too hot, you can rely on the split system air conditioning system. Giving you comfort all year long. Combined in the contemporary open layout with flattering stone benches is the polished and well lit Kitchen area. That provides gas cooking and more than enough cupboard capacity for a hungry household. You will also find plenty of area in th double garage for Jet-Skis, Surfboards or your Scuba-Gear. Or just your 2 cars if you prefer. And there is ample storage space for your household goods and other personal items. Located only 600 meters from Sutherland Station and other amenities. This handy apartment is only 30 minutes to the city on train, or just fifteen minutes by car to pure paradise. Don’t let yourself miss out on this awesome opportunity to purchase this highly desired Villa in The Sutherland Shire. Give us a call now on (02) 9545-2220 and ask for Joel Bethell or Sebastian Viteri. Or for more information & opening times, you can simply find out more about 10/49 Vermont Street Sutherland here. Hill & Viteri Property the best Real Estate Agents Sutherland has on offer. Have real estate you are looking to sell or lease? Then give us a call on (02) 9545-2220 or fill in our contact form and we will get back to you a more suitable time.